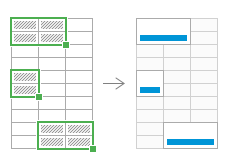 If you need to combine several cells into one, merge columns row-by-row or rows column-by-column, Merge Cells for Excel is the best assistant for you. Just choose a range, select what to merge, pick a delimiter to separate values, click the Merge button - your cells are combined in a second with no values lost. Combine multiple cells into one cellJoin multiple Excel cells and place your result either to the top left/right cell, or to the bottom left/right cell. 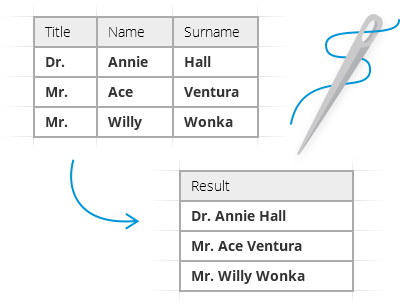 Merge columns row by rowCombine columns and save the result to the left or to the right column. Combine rows column by columnMerge several rows and place the result to the top or to the bottom row. Keep all your values while merging cellsThe add-in won't delete your data, even if the selection contains multiple data values. Manage your resultYou can choose to clear the contents of the selected cells, skip empty cells, merge all areas in the selection, or wrap text. Separate your merged valuesSet a separator for your merged values: comma, semicolon, space, line break, or any character of your choice. What is Merge Cells and what do I need it for? 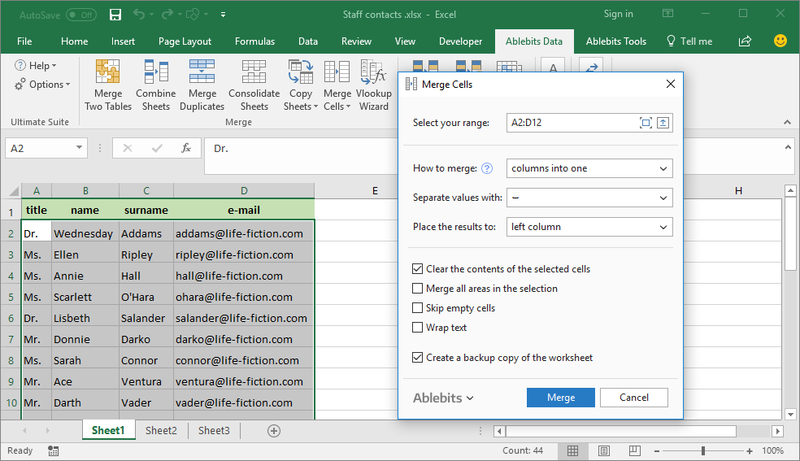 Merge Cells is an add-in for Microsoft Excel, which combines values in columns, cells and rows. 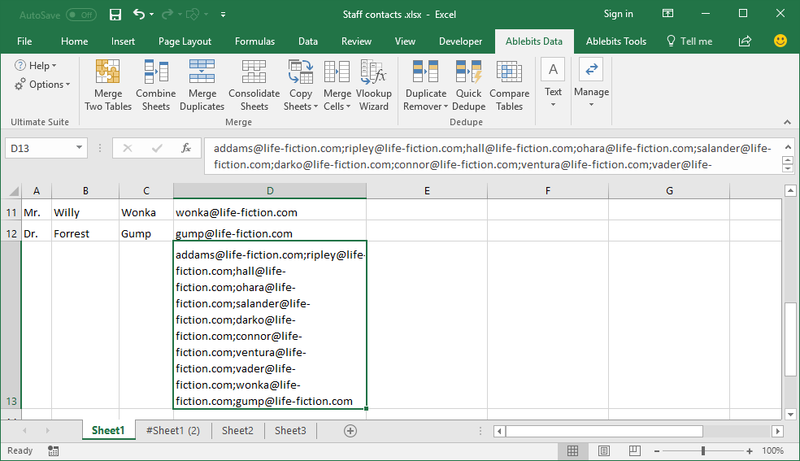 If you need to get one cell out of several ones, merge columns row by row or rows column by column, Merge Cells utility is the best assistant of you. Doesn't Microsoft Excel do the same without any add-ins? No, it doesn't. 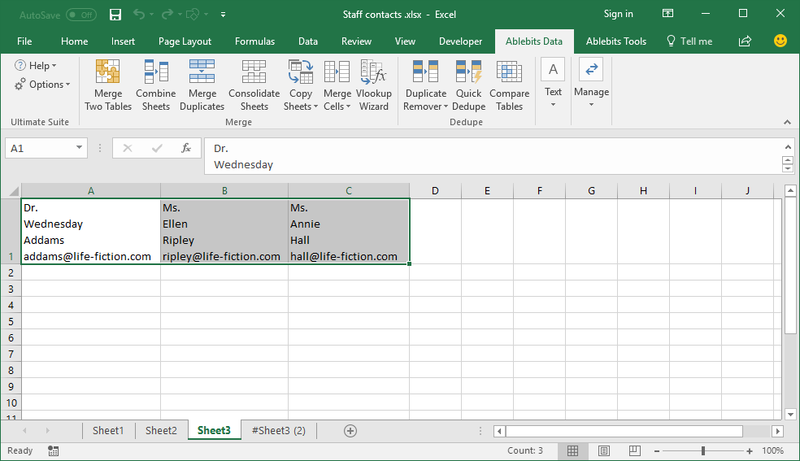 If you merge cells with the help of the build-in Excel button, you will keep only the upper-left value, other values will be removed. 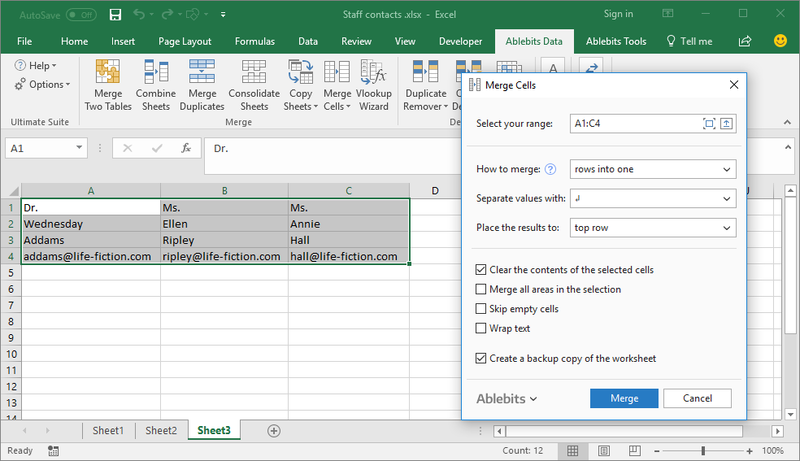 Merge Cells saves all your data and allows to decide, whether to combine values into one selected cell or merge all areas in the selection. How does Merge Cells work? 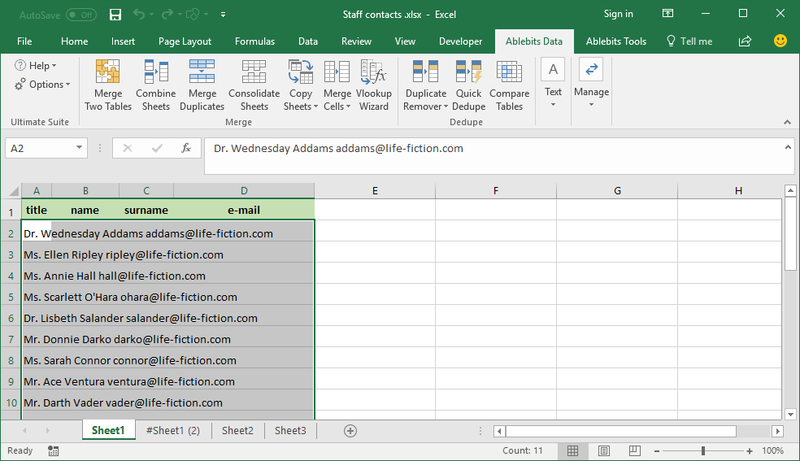 You start the add-in, select your range and choose what to merge: columns, cells, or rows. 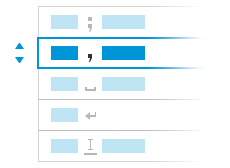 Then you indicate a separator for the combined values, it can be space, comma, semicolon, line break, or any separator of your choice. You determine the place where to put the result. You can also choose to clear the contents of the selected cells, merge all areas in the selection, skip empty cells, and wrap text. Then you click Merge and the result is ready in a few seconds. Find a more detailed description here. Can I merge the values into one cell? Yes, this is what the add-in does by default. If you do not tick the checkbox Merge all areas in the selection, you will have your values combined into one chosen cell. How can I merge cells in Excel and keep all data? 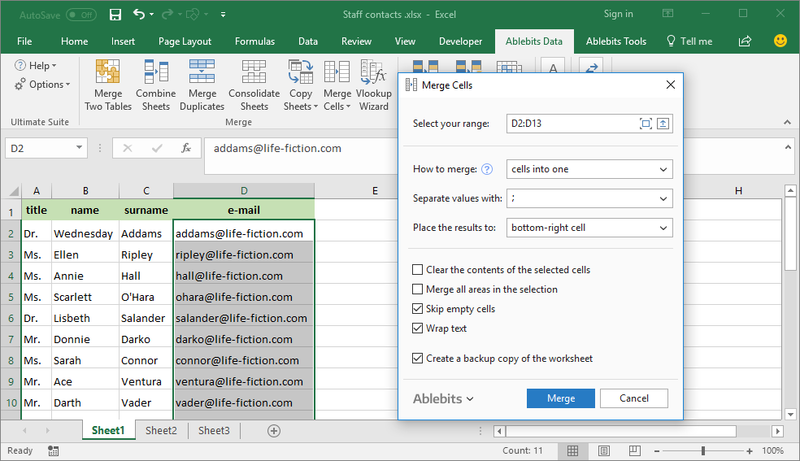 Merge Cells tool keeps all data when the selection contains multiple data values. With Merge Cells you will never see the message "The selection contains multiple data values. Merging into one cell will keep the upper-left data only" again. Your data in Microsoft Excel will never be lost! Can I merge cells if my selection includes several areas? Sure! For this just tick off Merge all areas in the selection option. 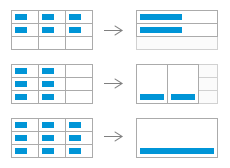 My table has empty cells, can I avoid merging them? Yes, to combine only cells with data, tick off Skip empty cells option. I want my merged values to fit into the size of the cell. Is it possible? Of course, just tick the checkbox Wrap text and the result will fit into the size of the chosen cell.